Reliable web hosting is a mission-critical component of eCommerce websites, and the company you choose to host your website matters. Add to this the incredible growth of cloud-based business applications that take systems out of your IT department and place them in the cloud. 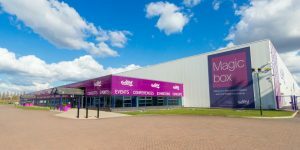 Visitors to eCommerce Show North - which takes place over October 11th and 12th 2017 at EventCity in Manchester - will be spoilt for choice when it comes to finding experts to help you navigate these complex matters. UKFast - Our lead sponsor and one of the largest independently owned hosting providers in the UK, providing dedicated servers, cloud services and colocation to businesses, government and the public sector. Steamhaus - A Manchester-based cloud and DevOps consultancy, working with startups, digital and creative agencies, online retailers, and high traffic websites who need excellent technical expertise and first class customer service. FHL - Netsuite's #1 partner - NetSuite is a turn-key solution for most companies because it is fully scalable, has a huge number of applications and integrations, and the guys at FHL will customise NetSuite to do exactly what you need it to do. Cloud Technology Solutions - a Google Cloud Premier Partner and leading reseller of G Suite Business (formerly Google Apps) solutions that transform organisations while reducing costs. The hosting experts add to a packed programme of speakers that already includes key industry experts from the likes of Rentalcars, AO, Prezzybox, Kellogg’s, Virgin Trains, Park Group, Missguided and Icelolly.